MIAMI BEACH, Fla. -- A networking reception for women that was held during the National Association of Minority Automobile Dealers conference here last month had a dual purpose. The session allowed women at the conference to get to know one another. 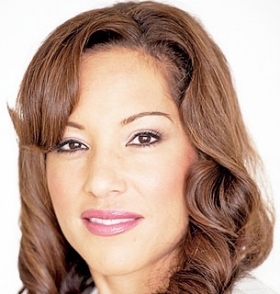 It also gave the RLJ McLarty Landers Automotive Holdings dealership group a chance to get to know and find women -- minority and nonminority -- outside its organization who have the ambition, drive and experience to manage or be trained to manage dealerships, said Lisa Wardell, executive vice president of RLJ McLarty Landers. The reception was spearheaded by the dealership group and co-sponsored by the American International Automobile Dealers Association. About 30 women attended the event; there were dealers and dealership employees as well as women who work for automakers, financial institutions and vendors. Robert Johnson is chairman of RLJ Cos., which owns or holds interests in several businesses. RLJ is the dealership group's majority owner. Johnson is also the founder of Black Entertainment Television. Wardell, who is also executive vice president of RLJ Cos., said: "We had the initiative for minority general managers, and we had success there. We'd like to do the same thing for women. "For Bob Johnson, his legacy is making sure he's opening doors for people who have not been able to do things before, whether it's access to capital or just opportunities. This is the perfect fit for that: women in dealerships." Johnson, in previous interviews with Automotive News, said one of the dealership group's goals is to recruit and train minority entrepreneurs to manage dealerships, putting them in a better position to raise capital to buy their own stores. The company has five minority general managers. Though the poor economy has prevented them from owning stores, they have equity stakes in the stores they manage, Wardell said. She said RLJ McLarty Landers started its effort to recruit women general managers about a year ago when it identified and began training five "high potential" women comptrollers within its organization who the company felt could one day become general managers. The women regularly attend meetings for general managers and are exposed to decision-making and strategies related to all aspects of the business, including sales and macroeconomics, Wardell said. Potential candidates would have to know, among other things, how to run a business and understand revenue and expenses. They would also need a firm grasp of how the retail auto industry is shifting to e-commerce and digital sales, Wardell said. Franklin McLarty, CEO of RLJ McLarty Landers, said it is important for any retail business to reflect its customer base. That's why it is important for the group to have women and minority managers. "Women are big decision drivers in any major household," McLarty said. "Whether that's diversity from an ethnic minority perspective, whether that's diversity from a gender perspective, we want to reflect the customers that we serve." Jenell Ross, chairwoman of AIADA and president of Bob Ross Auto Group in Centerville, Ohio, said the session presented a great opportunity to bring women together from all facets of the business. "It's good to meet others of us who are engaged and truly involved in our industry," she said. "Sometimes we don't have that opportunity."